The Negatives L-R Robbie Brennan, Mark Costigan, Bob Bolton and Dave MacAnaney. 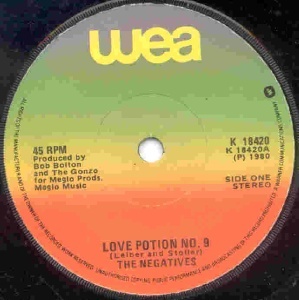 The Negatives was formed as a recording vehicle by Bob Bolton and Dave MacAnaney. Bob's career stretches back to Some People (1963-66) while Dave was in Rootzgroop (1964-66). They spent two days recording a number of demos at Windmill Lane. 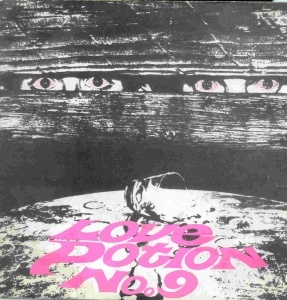 At the end of a second day, they decided to use the remaining time to record a version of "Love Potion No.9" for the fun of it, with Brian Harris (guitar) and Fran Breen (drums). It was completely different in style from the rest of the demos but Warner Bros loved it and released it as a single. This single sold very well in Ireland (though it's not listed on irishcharts.ie), so much so that the band was offered the support slot on the 1981 Eric Clapton tour by promoter Pat Egan. As Brian Harris and Fran Breen were unavailable, Robbie Brennan (also ex Rootzgroop a.o.) and Mark Costigan (ex Third Light Trench Band, Stepaside) joined the touring band. 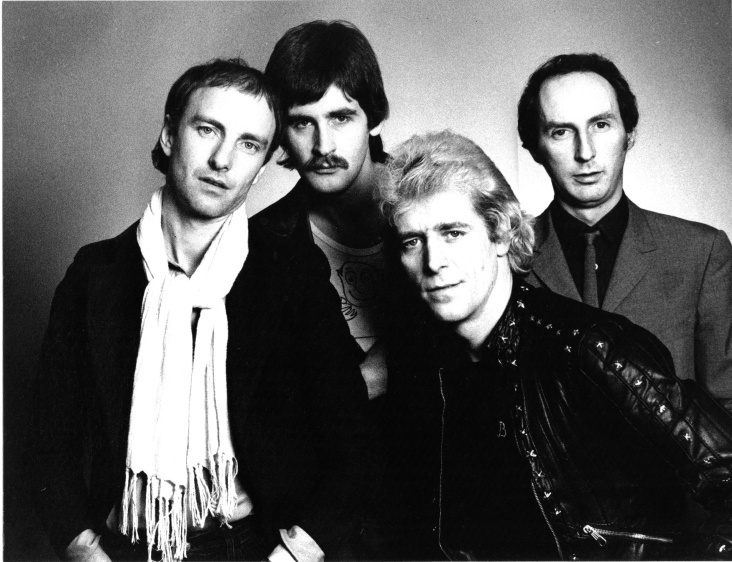 The Clapton tour was followed by a Johnny Logan tour support slot, so the band lasted a few months longer than expected. 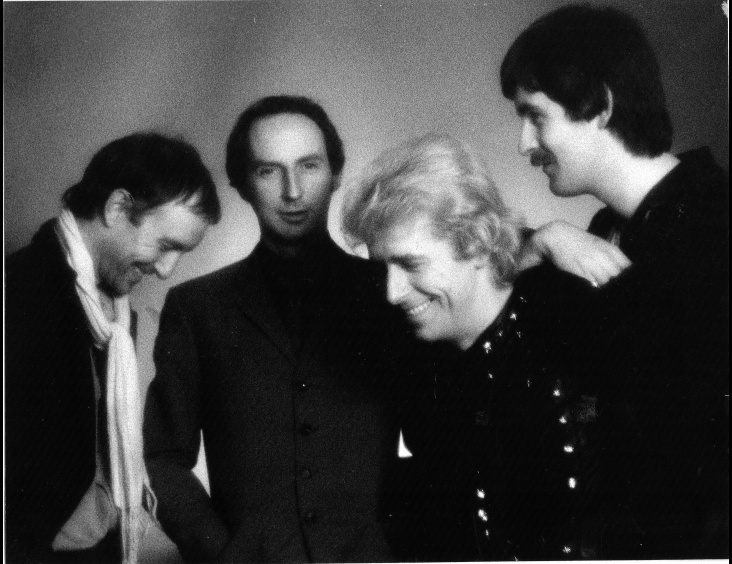 By this stage The Negatives had become a completely different band than originally envisaged by Bob & Dave, so they decided to disband. Bolton and Costigan were founder members of Stepaside. Dave MacAnaney and Robbie Brennan subsequently drifted in and out of various incarnations of the band. Bob Bolton played in California for the rest of his career, mostly in country bands. He returned to Ireland in 1998 and did a Masters degree in Music, graduating in 2001. He taught for a few years before retiring. The Negatives L-R Robbie Brennan, Dave MacAnaney, Bob Bolton, Mark Costigan.